A classic beef barley soup is a wintertime staple, but it takes a while to cook...unless you use a pressure cooker. This recipe takes advantage of the higher temperatures of a pressure cooker to get a deeply flavorful beef barley soup on the table in about an hour from start to finish. Using collagen-rich chuck roast or short ribs guarantees flavorful beef that stays tender even after cooking at high heat. Browning the meat in large pieces adds deep, roasted flavor, without the over-toughening that happens when you brown it in smaller pieces. Using two sets of sautéed vegetables guarantees both a flavorful broth and diced vegetables that retain good texture and flavor in the finished soup. 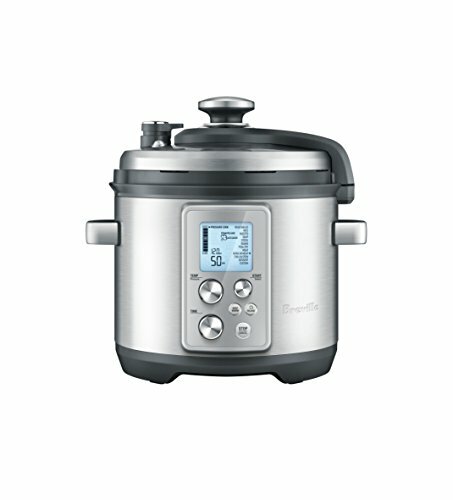 A pressure cooker reduces cooking time significantly, making this a recipe that's ready in under one hour. Fish sauce enhances the savory quality of the soup. Season beef with salt and pepper. In a pressure cooker, heat 1 tablespoon (15ml) oil over high heat until lightly smoking. Working in batches if necessary, add beef and cook, turning occasionally, until well browned on all sides, about 5 minutes per side. Transfer to a large platter. Add diced carrot, diced onion, and diced celery to pressure cooker and cook, stirring and scraping up any browned bits from the bottom, until lightly browned, about 6 minutes. Scrape vegetables into a heatproof bowl and set aside. Add remaining 1 tablespoon (15ml) oil to pressure cooker and heat over medium-high heat until shimmering. Add remaining whole carrot, halved onion, and whole celery rib, along with garlic, and cook, stirring occasionally, until browned in spots, about 4 minutes. Add wine to pot and cook, scraping up any browned bits from bottom of pot, until wine comes to a simmer and alcohol smell cooks off, about 4 minutes. Add stock, thyme, bay leaf, reserved beef and any accumulated juices, and barley to pressure cooker; the liquid should just cover all the other ingredients. 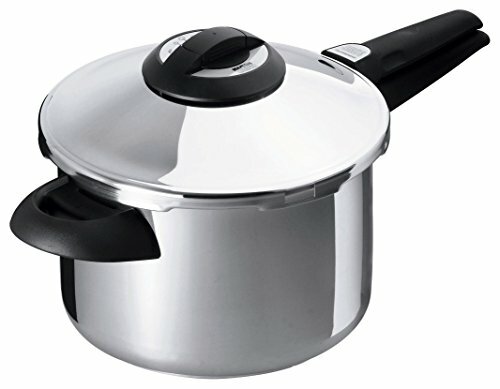 Close cooker, bring to high pressure, and cook for 30 minutes. Release pressure using pressure release valve. Remove beef, discard bones (they should fall right out), and cut meat into bite-size chunks. Return to pot. Discard thyme sprigs, large vegetable chunks and garlic cloves, and bay leaf. Stir in reserved diced vegetables and fish sauce, if using. Season with salt and pepper. Stir in peas and cook until just warmed through. Serve. Beef chuck is the easier and more affordable option, and produces very good results. Short ribs, especially when combined with their bones, create an even more deeply beefy stew. Ask your butcher to remove and reserve the bones for you if you don't feel comfortable doing it yourself. If you have beef chuck that's already cut into chunks for stewing, we recommend searing only half of them in step 1 and adding the other half raw in step 4. Most store-bought beef stock has poor flavor, which is why we recommend chicken stock instead; if you have good-quality homemade beef stock available, feel free to use it.